I’m gradually making my way through photos of my New York trip. I took over 800+ photos. Trust me, it’s going to take me a while but I’m going to try to post them before the end of the year (Operative word: TRY). In the meantime, I figured it would be nice to highlight some memorable sightings. 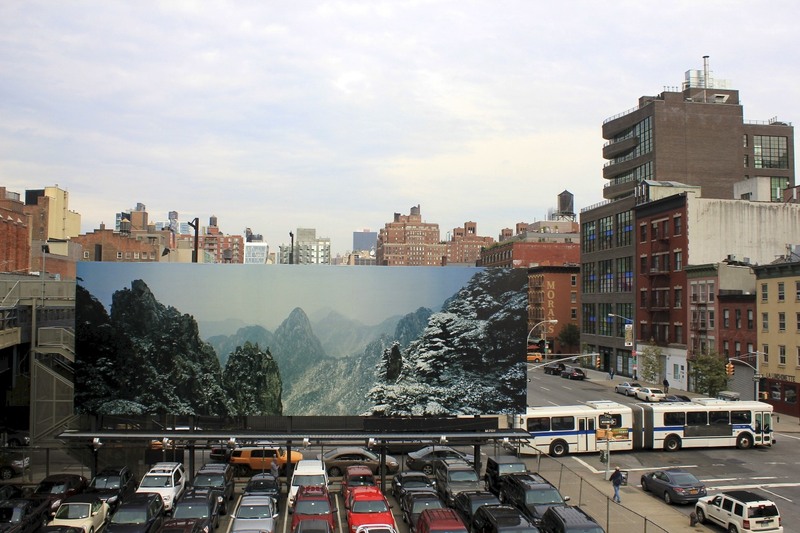 While visiting The High Line, I saw Darren Almond’s photograph of a Huangshan mountain range (in China) as a foreground to the Lower West Side of Manhattan. It’s pretty hard to deny an incredibly serene landscape with Manhattan in the background. Can’t really ignore either one, which is exactly why this installation works. It has an incredibly contrasting effect. For inhabitants of both environments, they’re both equally strange and overwhelming. 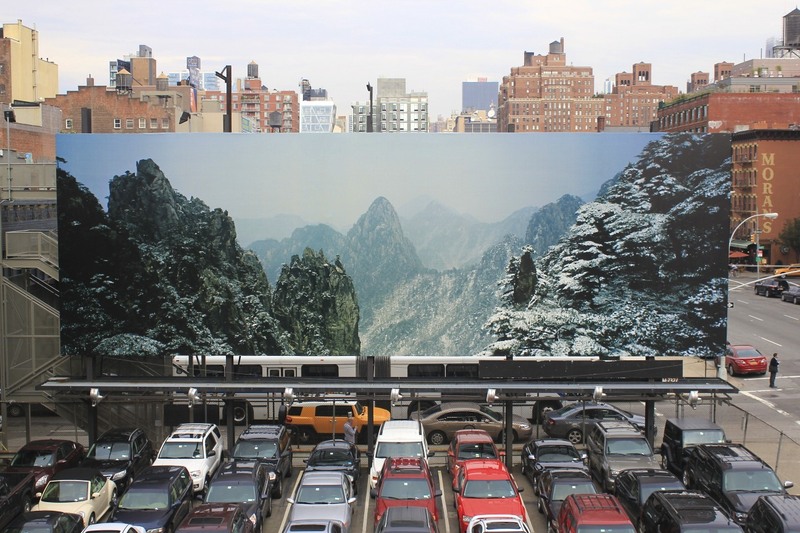 Posted in Art, Observations, Photography and tagged as darren almond, photography, postaday2011, the high line.